My favorite time of the year, and I know for many Americans, is the holiday season which begins with Thanksgiving Day and extends to New Year's Day. This is a time of the gathering of family and friends to give thanks for all we have, to celebrate the birth of Christ, and ring in the New Year and the chance for a new beginning and new resolutions. But, more than opening presents and ringing in the new year, is my favorite part, Thanksgiving Day dinner. Here, is the true time and place to give thanks for all we have in life, and the most important of all thanks for family and friends. To be able to break bread with our favorite people and give thanks is one of the best times of the year and most Americans feel the same way. Our Thanksgiving Day traditions have been in place for a long time, and I love the traditions our family and many others follow on that important day. It is full of thanksgiving, but also some other fun activities that we gather together to enjoy with family and friends. I have narrowed a list down to a few of my favorite Thanksgiving Day traditions that I look forward to this Thanksgiving Day. Following are those traditions and I bet some or all of these are yout Thanksgiving Day traditions, too. For me, Thanksgiving Day dinner is not complete or traditional unless there is "a big fat turkey from down on grandpa's farm" served up with stuffing, mashed potatoes, and sweet potatoes or yams. And of course, pumpkin pie. I know that ham and chicken are also served at the Thanksgiving Day table, but for me turkey is it - the most important ingredient to a traditional Thanksgiving dinner. How long has serving turkey been an American tradition and how did it get started? 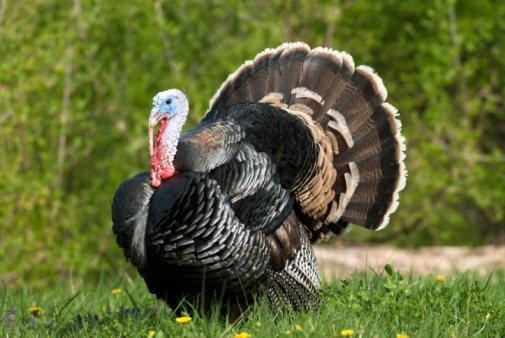 Historians today do not believe turkey was served at that first Thanksgiving at all at Plimoth Plantation. No turkey served or eaten at that important meal between the Pilgrims and Native Americans back in 1621? Then, what exactly did they eat? Historians say that poultry of some sort may have been served, just not turkey, as it was never mentioned in historical diaries or documents of the original meal between the Pilgrims and Wampanoag Indians. What is mentioned as the meal was venison and surprise, lobster, from the Atlantic Ocean. Historians and researchers are not exactly sure when turkey make its appearance at the Thanksgiving Day table. One key person, Sarah Josepha Hale (1788-1879) was instrumental in getting the turkey bird served for the Thanksgiving meal by all Americans. She also petitioned President Abraham Lincoln to make Thanksgiving an official holiday in the U.S. In, 1863, Lincoln granted her wish and proclaimed the fourth Thursday of November as the national holiday to celebrate that first thanksgiving. So, today in 2014, we are still celebrating Thanksgiving on the fourth Thursday in November. It is now part of our official traditions and holidays. Cranberry sauce or relish depending on how you make it, is my favorite accompaniment to turkey and the trimmings - stuffing, mashed potatoes, sweet potatoes and green bean casserole. This is the traditional meal I eat on Thanksgiving Day, and I love the added tangy taste of cranberries and the colorful dark red it adds to the plate. Cranberries have always been known as a sweet dessert or relish and it has been popularly served at Thanksgiving meals for at least a hundred years. Cranberries were certainly present and growing in America in 1621, and very easily picked by the Pilgrims and Native Indians, but they were probably not eaten on that first Thanksgiving. Sugar is the key ingredient of cranberry sauce and sugar would have been a luxury item for making jam and cranberry sauce or relish and would have been dearly expensive. 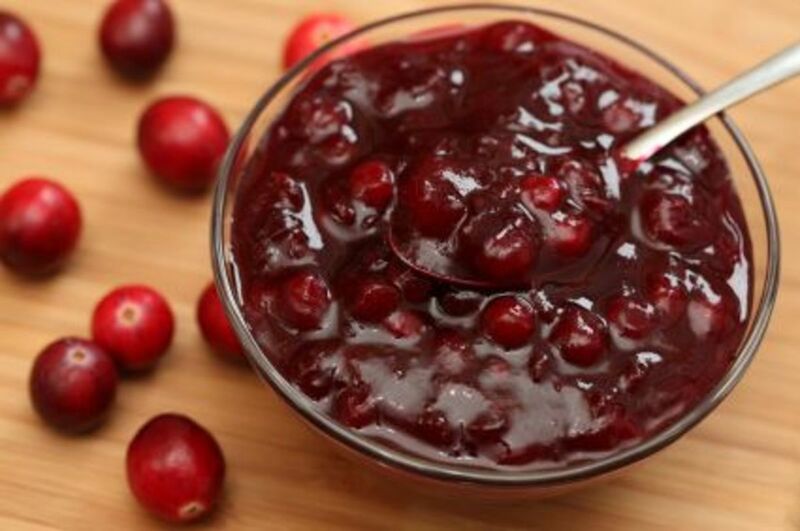 It is unclear just when cranberries made their appearance, but by 1663, historians have found written evidence that tell us a sweet sauce made from cranberries did appear. The New Jersey Star-Ledger, a newspaper at the time of the Civil War, reported that "Cranberries officially became part of the national Thanksgiving tradition in 1864 when General Ulysses S. Grant ordered cranberries be served to soldiers as part of their holiday meal. Whether cranberries were used before that at the Thanksgiving meal is today a mystery. 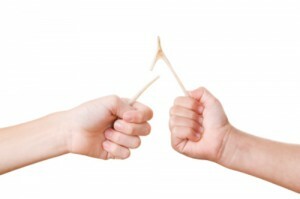 My sister and I, when we were young, always looked forward to cracking the wishbone. Since we always spent Thanksgiving Day back in Pennsylvania with our grandparents we each vied to crack that wishbone so our secret wish would come true. With my grandparents on the maternal side of the family, my sister and I had to compete for that wishbone with nine other cousins. If we didn't get to crack the wishbone that year, we always had our paternal grandparents, of which we were the only grandchildren, from whom to claim the wishbone. 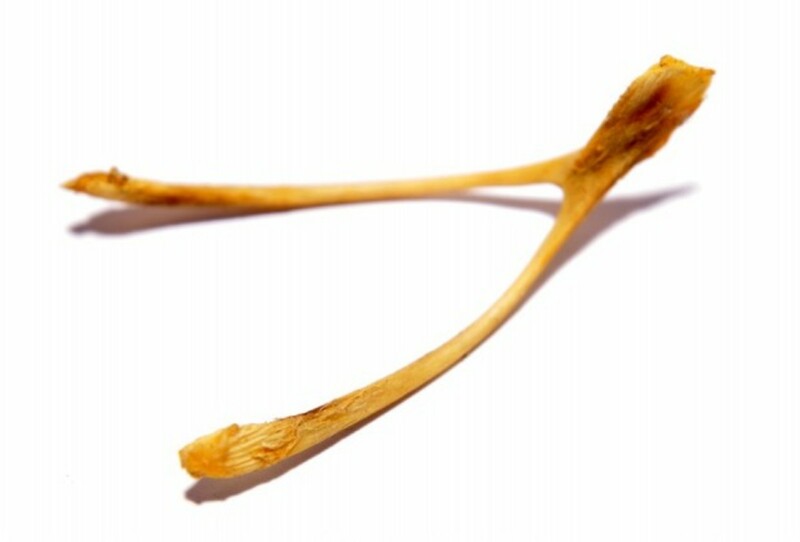 The wishbone, also known as the furcula, is taken from the carcass of the turkey and dried out. Two people hang on to each side of the wishbone and crack it apart and whomever gets the bigger piece assumes his/her secret wish will be granted. This tradition actually goes back thousands of years. Many ancient civilizations passed it down to one another and eventually it got passed down to Americans. Who will win the coveted spots of wishbone crackers this Thanksgiving Day? Watching this parade on Thanksgiving Day morning has become an annual tradition in many American families and especially in mine. With the turkey roasting in the oven, even Mom could join us to watch the parade. The parade revelers, floats and baloons march in front of Macy's department store in New York City and it has become a classic Thanksgiving tradition. Millions of people line the street in NYC each year and fight the cold to see the great floats in person. Millions more watch the parade on TV in the morning. Children and adults alike enjoy many floats and best of all the huge balloons of favorite cartoons and Disney characters. Young children anxiously await Santa's appearance as the last float of the parade and he always appears with his reindeer at noontime. Santa brings with him the official beginning of the Christmas season. He will appear in Macy's store so children can sit on his lap and tell Santa what they want him to bring for Christmas presents. The store front windows in NYC are also decorated and many times with moving characters and stories of the Christmas season. 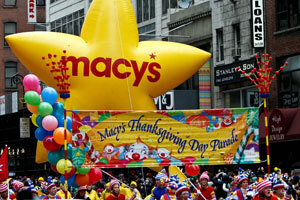 The Macy's Thanksgiving Day parade has been a fixture in our Thanksgiving Day traditions since 1924. It began as "Macy's Christmas Parade" and was started by the Macy's company employees when it first kicked off. Records tell us that live animals from the Central Park Zoo were walked through the NYC streets and down the parade route. By, 1927, the parade had exchanged the live animals for floats. 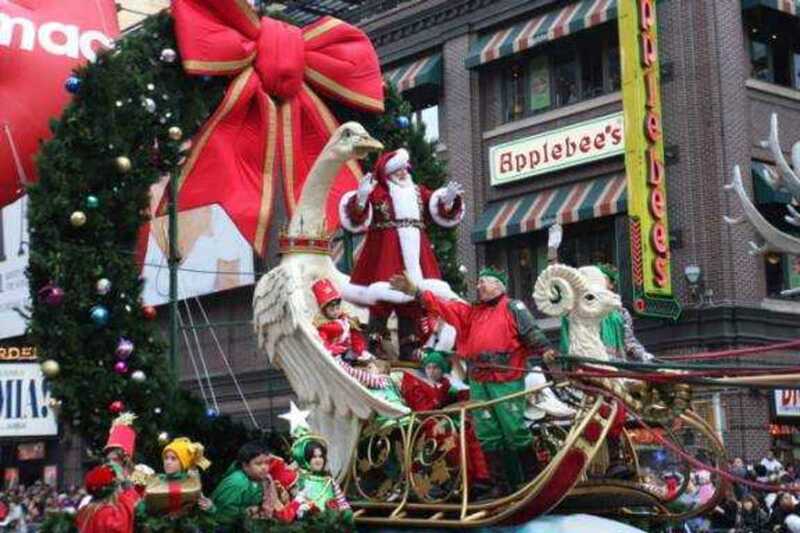 This event was so popular to the masses that Macy's decided to make it an annual tradition. Of course, it helped to bring the masses to Macy's to begin the Christmas shopping season. During WWII, however, there were no parades from 1942-44 because of a national helium shortage. Balloons were donated to the U.S. government to offer up as scrap rubber. By the end of WWII, because of the hiatus, people sorely missed Macy's Thanksgiving Day parade and therefore the tradition grew even more popular as a Thanksgiving Day tradition. Today, approximately 3.5 million people arrive in person to see the floats up close and personal each year. 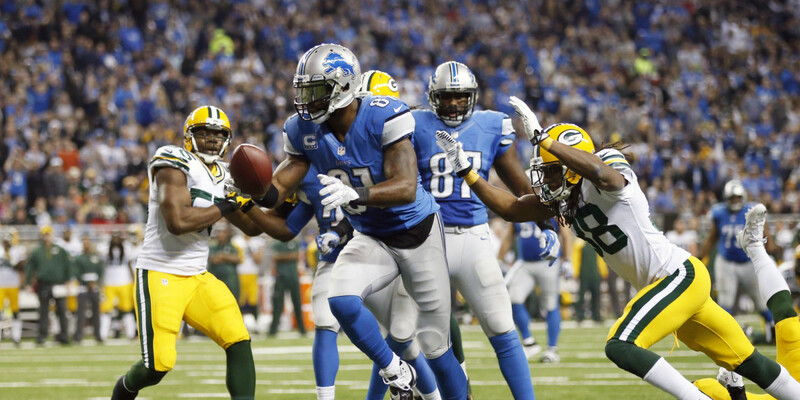 There is no way I could not write about the Thanksgiving Day football games. This is an American Thanksgiving tradition just as much as the big fat turkey. After dinner, it is so fun to watch the games together as a family as our meal digests in our tummies. I do feel sad, though, for the players who miss their family's Thanksgiving Day dinners and festivities because they have to play. Their Thanksgiving sacrifice makes a great tradition for the rest of us. Thanksgiving Day for that to happen anytime soon. In my family, turkey and football go hand and by brother-in-law, nephews and the other men look forward to the many games. The women sometimes gather in the kitchen to talk, but sometimes we join in on the games ourselves. According to the Pro Football Hall of Fame, the playing of football on Thanksgiving Day was originally the tradition among high schools and colleges. That tradition has subsided and the NFL has picked up that tradition. 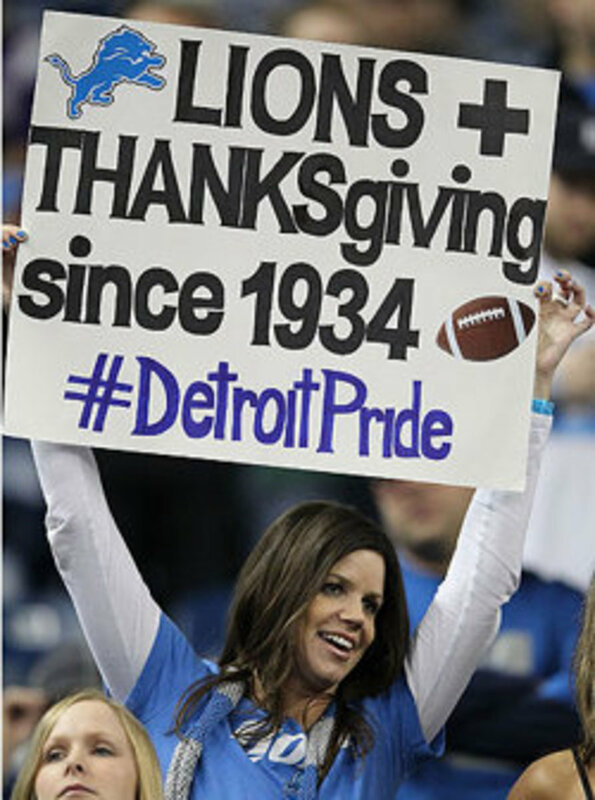 Modern day football as a Thanksgiving Day tradition with the NFL goes back to 1934 when the Detroit Lions decided to play against the Chicago Bears on Thanksgiving Day. The Lion's owner, George A. Richards, wanted to bolster his team's standing in Detroit. When the Lions played the Chicago Bears, the game attracted 26,000 people who watched it in the University of Detroit stadium. The game sold out two weeks before the game. Since that day, NFL football and the Thanksgiving Day tradition was begun. The Dallas Cowboys have played every year on Thanksgiving Day since 1966 and only missing two years, 1975 and 1977. Today, football and Thanksgiving Day are synonymous. 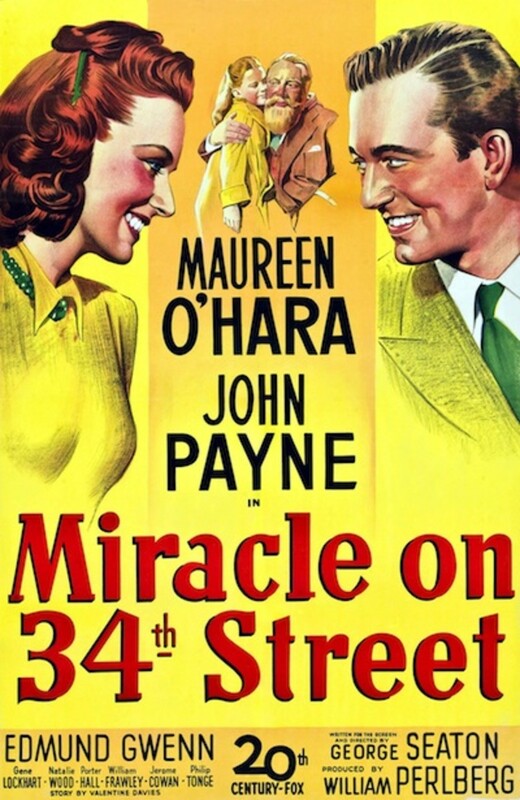 I have several Thanksgiving and Christmas time films and The Miracle on 34th Street is one of them. The story itself includes the Macy's Thanksgiving Day Parade as part of the plot. This film is shown usually many times between Thanksgiving and Christmas and has become part of my Thanksgiving tradition. It is usually on TV Thanksgiving Day night or sometime during the long weekend and I watch it every year. Yes, I watch the 1947 version which is in black and white. It is the story a department store (Macy's) Santa Claus who claims to be the real Santa. The story takes place between Thanksgiving Day and Christmas Day in NYC. Of course, the whole city thinks this Santa Claus is cuckoo. The director of the Macy's Thanksgiving Day parade has a seven-year-old daughter whom she refuses to allow to believe in the Santa myth as she believes it is not good for her daughter. She thinks she is saving her daughter from great disappointments in life. When the little girl's dream comes true at the end, the question is did Santa work his "magic" for it to come true? The film was written and directed by George Seaton and is based on the original story by Valentine Davies. It stars Maureen O'Hara (mother), John Payne (attorney), Edmund Gwenn (Santa) and Natalie Wood (the child). It is one of the most heartwarming of stories of Thanksgiving and Christmas in the city. The film has been remade several times, but this original one has always been my favorite. Because Thanksgiving Day is the official beginning of Christmastime in America the film is shown anytime beginning then. Of course, today, you can rent it on DVD. I always look forward to seeing this movie and it has become a classic to watch during the holiday season for me. Other great movies my family and I watch as tradition at Thanksgiving are the hilarious, Planes, Trains, and Automobiles and the romantic, Serendipity. 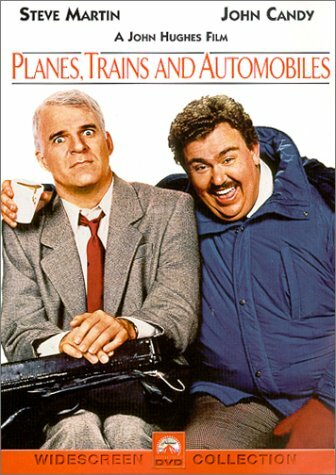 Planes, Trains and Automobiles (1995) starring Steve Martin and deceased John Candy is the story of an uber professional man (Martin) trying to get home to his family for Thanksgiving but weather has hampered his way of getting home. He runs into a salesman, the obnoxious and over-bearing John Candy, and they join forces to get home to their families in time for Thanksgiving Dinner using different modes of transportation. Martin, the suave professional learns the true meaning of Thanksgiving and the true meaning of friendship from slick salesman John Candy. Hilarity reigns throughout the movie as the two men battle their way home. A great watch after Thanksgiving dinner for laughs and appreciation of family and friends. 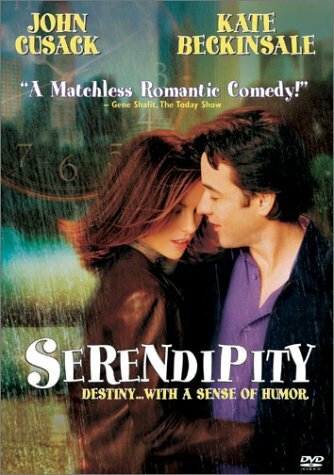 Serendipity (2001) is the perfect movie for hopeless and hopeful romantics alike to watch. The word serendipity means the occurrence of events by chance, or destiny by chance, in a happy and beneficial way. Sara (Kate Beckinsale) and Jonathan (John Cusack) meet in NYC at the holiday season quite by accident and even though both of them are already in relationships with someone else they feel the pull of mutual attraction They end up sharing sundaes at the chocolate shop Serendipity in NYC. After spending the day together, they both become confused about the current relationships they are in and the joy and attraction they feel for one another. Jonathan wants Sara's phone number, but Sara wants fate to work things out. So she writes her name and phone number on a five dollar bill and Jonathan writes his name and phone number in the novel, Love in the Time of Cholera. Sara says if the attraction is true, fate will bring them back together. The five dollar bill with Sara's name and number will fall into Jonathan's hands and the novel, Love in the Time of Cholera, with Jonathan's name and phone number, will fall into Sara's hands. What ensues over the next several months for both Sara and Jonathan is coming to terms with their current relationships, and both wanting this new relationship and the need for fate to take its course. Will Sara and Jonathan meet again? Only fate and serendipity know the outcome. It is a delightful film about how life is full of decisions one must make but also life's chances can determine one's fate also. This is another of my favorite films and one I highly recommend. Watching it on Thanksgiving evening starts the Christmas season for me. Note: And, I never, never shop on Thanksgiving Day and I usually try to miss Black Friday shopping also. Hi Mike: So glad you enjoyed reading this. Glad to see you also go with the traditional Thanksgiving meal even if you do throw in a taco salad. LOL! I know, I stay out of the stores on Thanksgiving and Black Friday - I don't want to get stampeded and run over by crazy people. I can't believe the 'animal' that comes out of people on these two shopping days, now. Ridiculous to see people fighting over material objects. Sad. Haha, I see I am a day late for this. Turkey, check, mashed potatoes, check, cranberries, check. Taco salad, wait what? Just kidding. 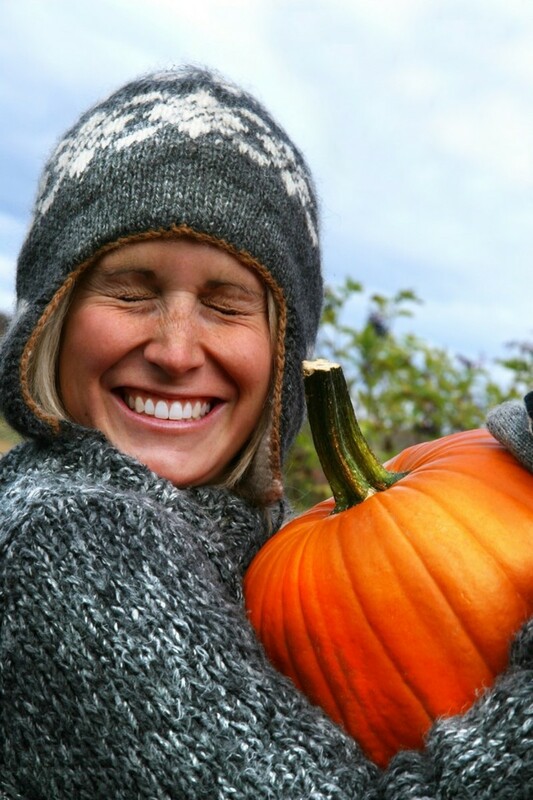 Wonderful that your favorite time of year has arrived. I do not shop on Thanksgiving or Black Friday - what are they, nuts? word: Thank you for reading this and I am glad you enjoyed this and that it brought back pleasant memories for you. This was exactly our Thanksgiving experience yesterday. My sister and her family came up here from Columbus, OH and we had a wonderful time. Fun and thanks were had by all and the football games were on and then a repeat of the Macy's Thanksgiving Day parade was watched also. Thanksgiving has become my favorite time of the year, as well as Christmas. We got together and laughed and enjoyed one another and in our family there are no hard feelings or not getting along. Thanks so much for your comments - most appreciated. Hi Suzettenaples, Thanksgiving used to be one of my favorite holidays when my mom was here. Your layout here reminds me of those good ole days. People should appreciate family as much as they can including all the relatives. I still get together with my 4 other brothers because that's how my mom would want us to do. We're all good cooks. Anyway, thank you for such a wonderful holiday presentation for Thanksgiving. Voted up! 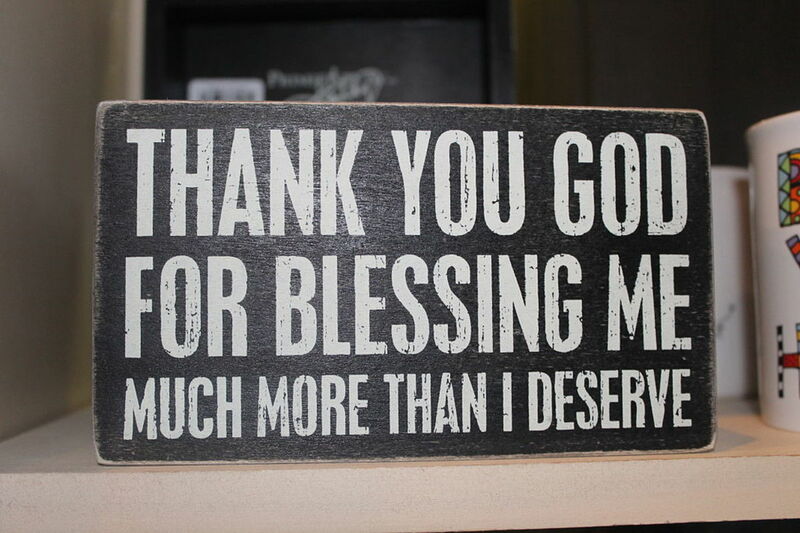 Faith: Thanks so much for reading this. I imagine many Americans follow these same Thanksgiving traditions. My favorite part is when we gather at the table to eat and one of the niece or nephews say 'Grace'. We are always so grateful to be together and enjoy one another on Thanksgiving Day. The turkey and the trimmings come in second, but I just love Thanksgiving meals and am so fortunate that we are able to have these dinners. Thanks so much for reading and I am glad you enjoyed this. Oh, I love all of the Thanksgiving Day traditions too, except I, too, do not shop on Thanksgiving! It is just a wonderful day for the gathering of family and eating a lot of great food, and being thankful for all of the blessings the Lord has provided. I do love that movie, The Miracle on 34th Street. Thanksgiving always brings back so many lovely memories from childhood and on. Romeos: Thanks so much for reading - this is how my family and many others celebrate Thanksgiving. It actually is a favorite time of the year for me. Thanks again for your visit. A cosy Hub article you've created Suzette with interesting insights as to how you lucky folks over there in the States celebrate such a pivotal occasion of celebration. That movie ' Planes, Trains and Automobiles ' is a perfect, unsentimental movie for the season and so funny! Thanks for the read and best wishes to you for your happy celebration. Thanks, Devika. This is pretty much how we celebrate our Thanksgiving Day here in the U.S. Actually, Thanksgiving is one of my favorite holidays because it bring families together. Christmas is my other favorite holiday. The Christmas season starts so early here in the U.S. practically right after Halloween in October. It do think the season is too long here, but it does make the Christmas season interesting. LOL! Thanks so much for reading this and I am glad you enjoyed it. Beautiful hub! I like the photos and Thanksgiving is such a great time for family and to be grateful for all you have in life. Family getting together and preparation of food sounds a wonderful time. Voted up, interesting and useful. Oh, Kim: I love sweet potato casserole. What a great addition to the Thanksgiving Dinner. I love Thanksgiving because it gets the whole family together at least one time during the year. At Christmas, so many family members travel and take vacations then, that we are not always together at Christmas. But, Thanksgiving is always so special. And I love the food. That is one day the diet flies out the window. Thanks so much for your continuing support and for reading my hubs. Jackie: Thank you so much for your visit and interest in this hub. I love Thanksgiving and the start of the holiday season. I do watch these films every year during the season and I have always loved Miracle on 34th Street even though it is in black and white. I did not know there was a make of this film before the Natalie Wood one. That is interesting and I would love to see it someday. I do know there was one made in the 90's with Richard Attenborough as Santa, but he was an alcoholic Santa and I didn't like that at all. I'll stick to the 1947 version. I love all the food, too, and that is one day I am never on a diet. LOL! Glad you enjoyed this Jackie. First you make me cry. Now, you make me hungry. Big Smiles. My contribution is the sweet potato casserole which is really more like a dessert than a side. Thanks again for presenting such a great hub. I love Thanksgiving too and Miracle on 34th St. They did a new one I do not like but did you know there is one older than the Natalie Wood one? Shocked me; I found it last Christmas. Great article. Will: Yes, hunting the day after Thanksgiving is popular with my relatives who live in PA. I have had pheasant before and it is delicious. My relatives go hunting for deer - starting with the Friday after Thanksgiving, PA takes the entire next week for hunting. I am not into hunting so I don't and have never taken part. That is so interesting to hear about the hunting tradition in Iowa. I think it is wonderful that you have pheasants flying around in Iowa. Thanks so much for your interesting comments and sharing your traditions. Chitrangada: I am so glad you enjoyed reading this and yes, since your son lives here, you are probably familiar at what we do. It is a lovely time to give thanks for family and friends. I am so glad you found this interesting and informative. 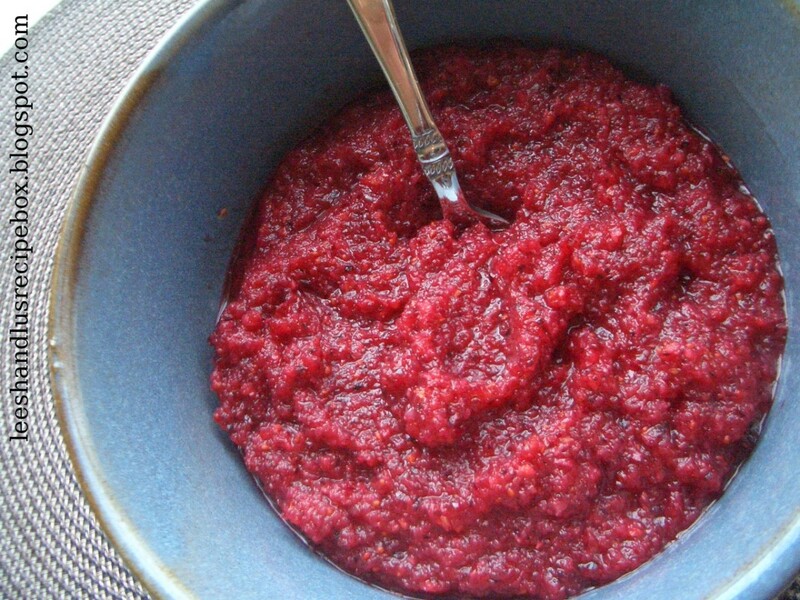 Cranberries are so good and I prefer the relish over other ways to serve it. 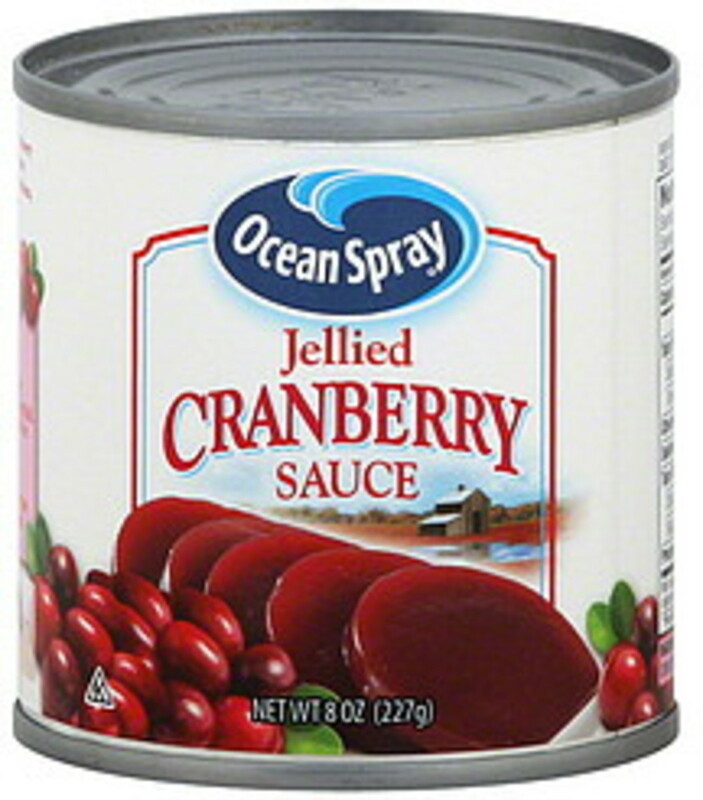 It is just tangy enough to accompany the turkey and the two flavors are terrific. Thanks so much for reading this and I am glad you enjoyed it. Oh Nell: Thanksgiving is so fun. It is the one day that all diets are off! LOL! In our family, we only seem to eat turkey on Thanksgiving Day and not anytime throughout the year. Christmas is fish and roast beef, so turkey is a treat for us at Thanksgiving. Well, I think you have Guy Fawks Day which is a big celebration that we don't have. (Correct me if I am wrong). Thanks so much for your visit and now you know how we spend Thanksgiving Day. ladguitarpicker: Thanks so much for your visit and comments. I love the Thanksgiving meal and it really is the only time of the year we eat turkey. We don't seem to eat it other times of the year, so it is special on Thanksgiving Day. So glad you enjoyed reading this. Lady: I think most Americans have this type of Thanksgiving. What's Thanksgiving without football? LOL! It has been awhile since I have shopped on Black Friday - that is the one day I try to miss the stores if at all possible. Thanks so much for reading and for your comments. Hi Linda: Yes, I think most Americans have Thanksgiving traditions like ours. We now have my nephew's fiance who is vegetarian, so now we will be having some different dishes to go along with that. But, she does love chocolate, so that means plenty of chocolate at Thanksgiving. LOL! I am already excited for the big meal. 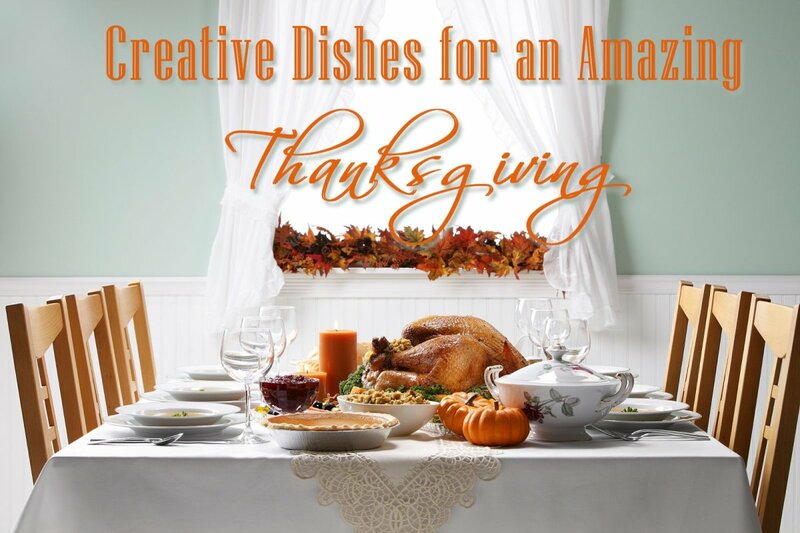 We all bring a dish to whoever is having the Thanksgiving meal, so one person is not stuck with so much cooking. Thanks so much for reading and stopping by. When I was a kid in Iowa, the tradition was for the men to go pheasant hunting the Friday after Thanksgiving, and the boys went along to pack back the birds. Pheasant is delicious! This is another superb Hub, Suzette! Your hub is full of interesting information about celebrating Thanksgiving in America. I enjoyed going through the details. Though I have some idea about it, since my son is living in USA. I enjoyed reading about the wishbone story and the belief attached to it. Sounds interesting indeed. The cranberry recipe is worth trying. Thank you for sharing this informative hub! Oh how I wish we had thanksgiving day over here! lol! we don't get to celebrate till Christmas! I hope you have a wonderful day! My Thanksgiving is a lot of what you talked about. I love Thanksgiving and the food, even though I can't cook anymore, its great to be together. Oh, have a great Thanksgiving. Ours used to be that way too. I went to black Friday one time and that was enough for me for a lifetime.